Still feeling unsure about your sweet designs for Valentine’s Day? Worry no more, for we here in Ucreative have partnered again with our friends from Freepik to give you another awesome set of vector graphics for your last minute design needs this love month! 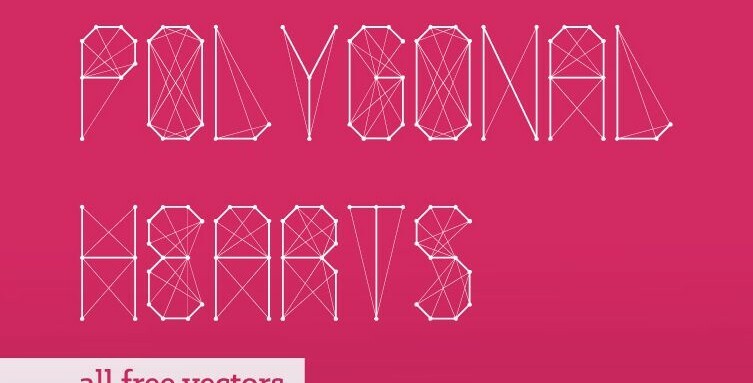 Today’s featured pack consists of 10 polygonal hearts in vector format that are awesome enough to fill in your boring Valentine’s Day greeting cards and posters. Have fun with this pack for they are all for free! Tell us your thoughts and suggestions in the comment box below! Happy Valentine’s and stay creative everyone!